It had been three years since I last attended the Capitol City Brewing Company‘s Mid-Atlantic Oktoberfest. 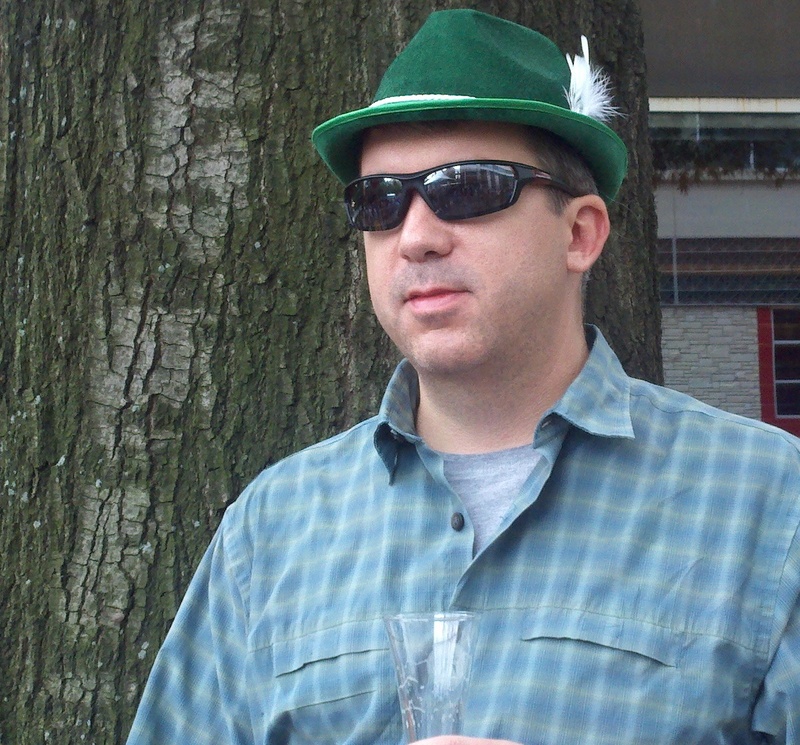 Since 2009, unfortunate conflicts had kept me away from my favorite Oktoberfest celebration of the year. So it was great to be back in the cozy confines of Shirlington Village on October 6 for the 13th edition of the annual street festival. We set up four chairs in the heart of the festival — at the main intersection and beside the stage — where we enjoyed the live authentic German Alpine music and dancing from Liab’ und Schneid. The spot also happened to be the perfect central launch-point for the 100+ beer and food tents! With more than 100 different beers from 75 breweries, there was a lot of brew to choose from. And with thousands of people sampling beer at the festival (or still looking for parking), the sampling strategy called for finding the tent with the shortest line. Actually, the crowd wasn’t that bad, unless you were waiting in line for the porta-potty. Favorite fall seasonal: Pumking, an Imperial Pumpkin Ale. Favorite IPA: To close to call – all five were excellent! Best of the rest: Little Sumpin’ Wild, 8.7% ABV and full of flavor. We spent a fun couple of hours at the festival, and with so many breweries and beers to try, we could have made it an all-day event. But the kids were ready to head home, not long after we met up with their cousins and Uncle Rich at the festival. So we all went back to my place to sample from my current stock of bottles and the six-pack of New Belgium’s Red Hoptober that Rick brought along.